Prepare the Grill – It’s Barbecue Month! National Barbecue Month is here, and Memorial Day weekend is a great time to take your grill out of your nearby storage unit and get it up and running for a spring barbecue. Before you bust out the charcoal or ignite the burners, you’ll need to prepare the grill and make sure it’s ready to go for the big weekend. When you packed your grill in the storage unit, hopefully you placed it up front where it’s easy to get to. If not, this is a good time to rearrange your storage space. Setting your boxes and other large items along the walls can help clear a nice walking path in the middle. 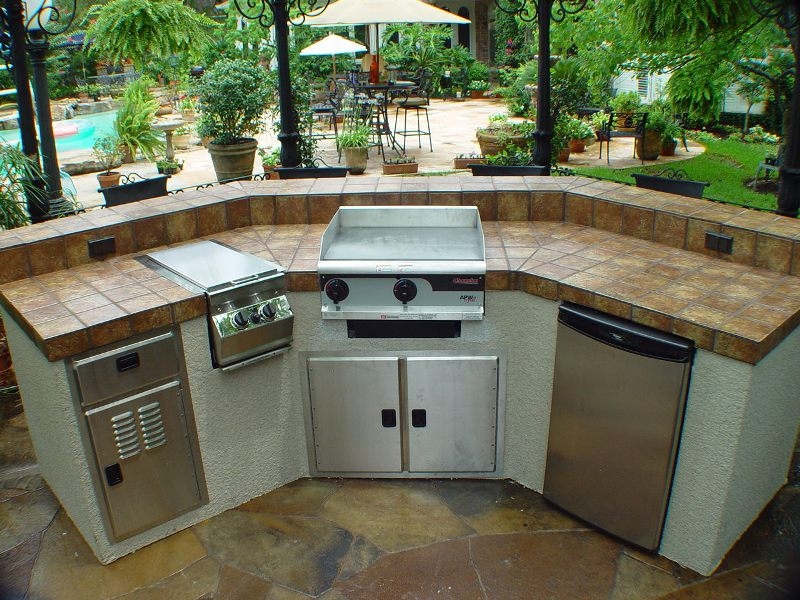 If you create an organized space now, you’ll have an easier time putting the grill in the unit during the following winter and taking it out again next year. Even though putting your grill in self storage can protect it during the winter, it still needs a good spring cleaning once you take it out and place it back onto your patio. Prepare your grill for Memorial Day and the coming summer by wiping the entire grill down from top to bottom. Use hot, soapy water to remove any dust or leftover grime from last grilling season, and inspect all the hoses and tubes to ensure they’re in working order. You’re probably tempted to fire up the grill and start cooking burgers and hot dogs for Memorial Day. How about starting off the new season with something different like a rack of lamb or seasoned salmon steaks? Throw a few corncobs on the grill to go with the meal, and add something sweet to finish it off, such as grilled peaches and bourbon butter sauce. You’ll not only surprise your taste buds but also let everyone know that you mean business this grilling season. Take advantage of National Barbecue Month, and start grilling something new and adventurous. Make sure to clean your grill thoroughly once you take it out of self storage, and always perform a leak test before igniting the burners. With a little prep work and a new summer menu, you’ll be the star of the barbecue this year. FindLocalStorage.com can help your find a nearby storage unit for your grill this winter! Use our database of storage facilities when you’re ready to pack your grill away for colder seasons. Server responsed at: 04/25/2019 2:25 a.m.